Even veterinary care is bigger in Texas. 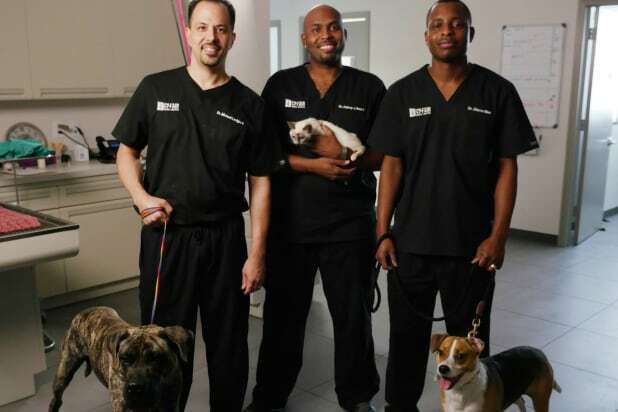 Animal Planet has greenlight new eight-episode reality series “Texas Vets,” TheWrap has learned, which follows three Houston-area veterinarians that run a thriving vet clinic and animal shelter. Viewers can soon watch Dr. Diarra Blue, Dr. Aubrey Ross and Dr. Michael Lavigne navigate the balancing act of running their animal hospital and rescue while balancing family. Animal Planet told us there will be “equal parts drama and laughter” in the series that captures the doctors’ home life with their spouses, children, parents, in-laws, pets and large group of friends. “Texas Vets” is produced by Nancy Glass Productions with Argle Bargle Films. Nancy Glass, Argle Bargle Films, Jairus Cobb, Shannon Biggs, and Keith Hoffman are executive producers. Sarah Russell is associate producer. The new series debuts Saturday, June 4 at 10/9c on Animal Planet.